... in a Barbie world! Yes that’s right, i’ve got a job at Mattel! And not just any job, Assistant Brand Manager for Barbie! I can’t believe it. I’ve had two mental weeks of interviews and preparing a presentation as well as preparing Christmas at Woolies. I am exhausted, and I can’t believe I am finally leaving Woolies, thank god. November 19th would be my 5 year anniversary, and that is just too long. Now I can hand my notice in on Monday, hee hee. Me and Angie have been shopping lots, as I’ve had all these days off. 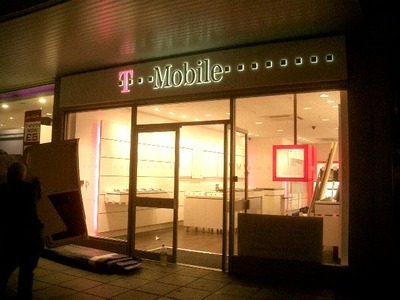 My beloved Birthdays is definately a T-Mobile shop now. Here is what it looks like. Its so upsetting. They are still paving over where the goths used to sit. Its taking forever. We’ve been looking for Halloween stuff for Hai’s party on Saturday. Poundland had lots of bargains, as obviously everything is a pound! 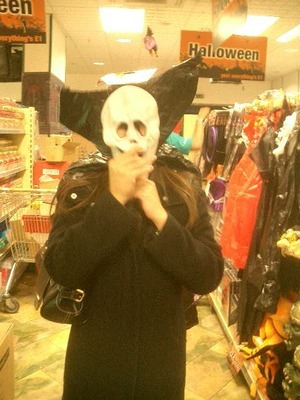 Today we went to Asda in Wembley, and they had the most amazing Halloween aisle, so many fantastic products. On the bus home, there were real life Uxbridge ‘plastics’ on the bus, like out of Mean Girls, but with Uxbridge accents. They dress like clean, smart chavs with perfect hair and talk really fast. When they got off the bus, the normal chav girls took the piss out of how they spoke. Hee hee.